Maine is known for a lot of things from scenic beaches and seaside villages to iconic lighthouses and fresh lobster. Another thing that is evocative of the state is whale watching in Maine. The waters of Maine’s coast are home to Minke, Humpback, Finback, and Blue Whales. 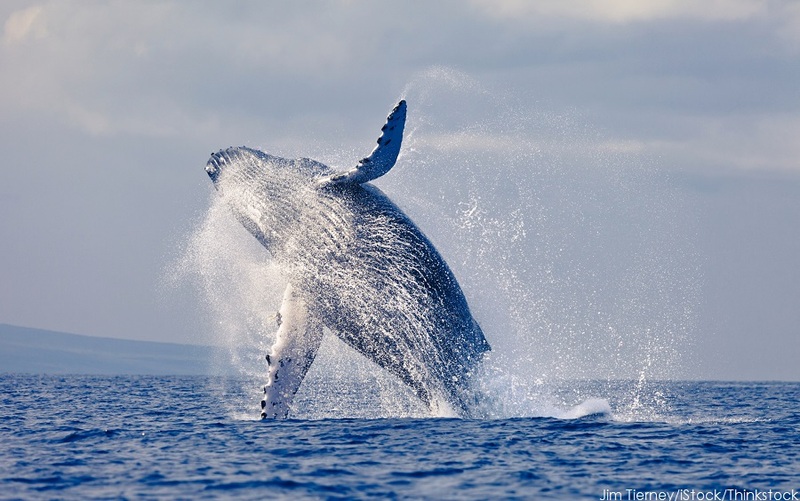 To see one of these majestic creatures in its native habitat, there are several great charters to take you out on whale watching tours. With knowledgeable and experienced guides to take you out into the Atlantic, whale watching in Maine is an experience you won’t soon forget. 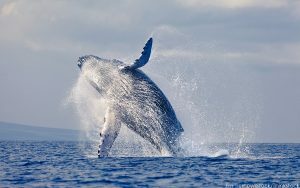 Take a look at some tips for whale watching in Maine as well as a couple of great tour companies. After you have the details, you’ll definitely want to head out to see to catch a glimpse of these beautiful giants during your next stay at Dockside Guest Quarters. To get the most out of whale watching in Maine, inform yourself a bit about when to go, and how to prepare. In general, the best time of year for whale watching is late spring through October, so it’s the perfect summer activity. To prepare for your day whale watching, you’ll want to take a few things into account. If you get seasick or are afraid you might, take some preventative seasickness medicine. The waters don’t always get rough, but it’s better to be safe. Also packing snacks and drinks is advisable. And though the Maine coast is balmy in the summer, offshore it can cool down quite a bit, so dress accordingly, or bring layers to keep warm. It’s also a good idea to set realistic expectations before you go. While the guides who will take you whale watching in Maine will know where to go and what to look for, there is never a guarantee that there will be a whale sighting. But if you by chance don’t see a whale, come prepared to have a great time out at sea with some colorful characters that will have you entertained in any event. However, bring your camera, because there is a good chance that you will actually see a whale! Nick’s Chance Whale Watch Tour is a great cruise aboard one of the newest whale watching vessels in New England. The 87 foot boat is equipped with the most modern safety and navigational gear, so you can feel confident setting sail with them. The vessel also boasts a galley with snack items and light fare or you can bring your own. The cruise departs from Kennebunkport and heads to the feeding grounds of the Finback, Minke, Humpback, and rare Blue Whale. You may even chance upon an endangered Right Whale. And the deck space is ideal for viewing and taking advantage of the perfect photo op. Captain Gary and his will regale you with stories and facts as he expertly navigates you to the perfect spots for sightings. Though this cruise departs out of Rye Harbor, NH, you will be exploring the waters off of Maine at Jeffrey’s Ledge. Rye Harbor is just a quick 20 minutes from York. Granite State Whale Watch has been exclusively taking visitors out on whale watching adventures for 30 years, so they have great experience and knowledge. Naturalists lead the cruises and provide expert narration. The Granite State Whale Watch has two cruises each day, with the season running from June 15th to August 25th. When you go whale watching in Maine, be sure to book your stay at the Dockside Guest Quarters & Restaurant. Not only do our accommodations have classic New England style, but they also offer all the comforts you could want during your getaway. As an added bonus, our on-site Restaurant has some of the finest fare in the area without the pretense found in some other establishments. At Dockside Guest Quarters & Restaurant you can look forward to having the perfect coastal Maine getaway. We’ll see you soon!